They discovered that the ancient West African method of adding charcoal and kitchen waste to highly weathered, nutrient poor tropical soils can transform the land into enduringly fertile, carbon-rich black soils which the researchers dub 'African Dark Earths'. Professor James Fairhead, from the University of Sussex, who initiated the study, said: "Mimicking this ancient method has the potential to transform the lives of thousands of people living in some of the most poverty and hunger stricken regions in Africa. "More work needs to be done but this simple, effective farming practice could be an answer to major global challenges such as developing 'climate smart' agricultural systems which can feed growing populations and adapt to climate change." Similar soils created by Amazonian people in pre-Columbian eras have recently been discovered in South America - but the techniques people used to create these soils are unknown. Moreover, the activities which led to the creation of these anthropogenic soils were largely disrupted after the European conquest. Encouragingly researchers in the West Africa study were able to live within communities as they created their fertile soils. This enabled them to learn the techniques used by the women from the indigenous communities who disposed of ash, bones and other organic waste to create the African Dark Earths. Dr Dawit Solomon, the lead author from Cornell University, said: "What is most surprising is that in both Africa and in Amazonia, these two isolated indigenous communities living far apart in distance and time were able to achieve something that the modern-day agricultural management practices could not achieve until now. "The discovery of this indigenous climate smart soil-management practice is extremely timely. This valuable strategy to improve soil fertility while also contributing to climate-change mitigation and adaptation in Africa could become an important component of the global climate-smart agricultural management strategy to achieve food security." The study, funded by the Economic and Social Research Council, entitled "Indigenous African soil enrichment as a climate-smart sustainable agriculture alternative", has been published in the journal Frontiers in Ecology and Environment can be found here. Geoff Lawton, one of Australia's premier permaculture experts, explains how it is that fruits, vegetables and plant waste that has been sprayed with a toxin will still come out perfectly clean on the other end of the compost cycle. So 100 million entities, potentially, are hard at work in the compost pile to make small amounts of toxin... just disappear! Learn about this marvel of earth's healing ability in this video! www.EarthCraftPermaculture.com - Geoff Lawton presents his outstanding movie, "Soils", helping you to have a better understanding of soil creation and maintenance, making soil healthier and optimal. I don't believe this is completely true, actually. If cows and horses eat hay grown with the typical herbicides used in meadows these days, it takes at least five years for it to leach out of their manure. That's why I had to give up on my plan to use manure from horse farms to build soil on the stead. No disrespect intended, Doctor, but I think Geoff Lawton knows a bit more about this than you. In the 2 minute video which I hope you watched, , he specifically said that this was conditional on the amount of toxins present (he referenced pesticide sprayed vegetable residue being added to a compost pile). Obviously, if the percentage is high, it would not be effective in removing all the toxins. So, you are partially right. But Geoff is totally right. Some time ago I learned that horse manure is much poorer than cow or chicken manure for composting. I hope you are aware of that. I suggest you watch the full soils movie. It will help you expand your knowledge on this subject. Proverbs 18 (NIV) 1 An unfriendly person pursues selfish ends and against all sound judgment starts quarrels. 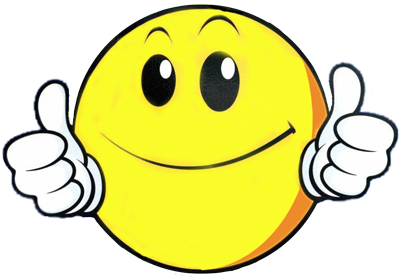 2 Fools find no pleasure in understanding but delight in airing their own opinions. 9 Love prospers when a fault is forgiven, but dwelling on it separates close friends. 10 A single rebuke does more for a person of understanding than a hundred lashes on the back of a fool. Vermont farms produce 14 million pounds of unused food every year, according to a recent report by a Morrisville-based nonprofit called Salvation Farms. The report also found that most of that food gets harvested and discarded; only about 16 percent remains on farms to be tilled under the earth or fed to livestock. Several groups of Vermont volunteers already handpick around 600,000 pounds of produce annually from selected farmers’ fields after harvest and recover what’s edible from the remnants, most of which suffer from blemishes and other aesthetic deficiencies that don’t affect the food’s nutritional value. Salvation Farms Executive Director Theresa Snow said the report gives her confidence that a market might exist for this produce, and she’s trying to scale her organization’s efforts up to a point where Vermont institutions make use of it. Snow said the study was undertaken to find out whether the amount of Vermont agricultural produce that goes to waste is enough to affect the state’s food supply. Snow said it’s important to recognize that it’s not Vermont’s farmers who are causing the food to go to waste, but rather market forces beyond their control that make imperfect foods too costly to use. Snow’s organization exists to increase the resilience of Vermont’s food system through better management of agricultural surpluses like those the report describes. The practice of salvaging leftovers after a harvest is known as gleaning , and it’s not a new idea, said Rachel Carter, communications director at Vermont Food to Plate. People have gleaned farmers’ fields for thousands of years, Carter said. “It’s actually a really old practice that Salvation Farms has been spearheading to bring back to Vermont,” she said. The food is entirely safe, but unmarketable, Carter said. Carter’s organization is helping Snow figure out a way to expand gleaning in Vermont from a volunteer effort to a sustainable business, she said. Of the more than 14 million pounds of Vermont produce that goes unused each year, she said, 68 percent has been harvested already. There’s no downside for farmers, said Evan Harlow, a manager at Westminster’s Harlow Farm. Volunteers from the Vermont Foodbank glean from Harlow Farm fields after harvest, Harlow said, and they’ve done so since he found out about the service five years ago. “We just show them what field to go to,” Harlow said. Volunteers bring knives, bags and trucks to get the produce and haul it away. Industrial food production is extremely profitable and generally efficient, Snow said, but it’s also very wasteful, and gleaning recovers only a portion of what goes unused. Across the country, she said, 60 billion tons of food gets wasted every year, with only 16 percent of that number representing produce and other agricultural products. The 14 million pounds of unused Vermont produce every year, Snow said, “seems like a lot, but I think it seems like a lot because we don’t think about our food system. Although her efforts will capture only a small part of that food, it’s still important to the vulnerable and disadvantaged people who currently benefit from much of Vermont’s gleaned produce. If she succeeds, the 14 million pounds of produce Vermont farmers don’t use each year could also benefit the state, Snow said. Snow said she hopes to sell what farmers reject to institutions like nursing homes, veterans’ homes, schools and prisons. She said that along the way it’s important not to compete with farmers’ development of markets, since that could hurt the viability of the entire venture. “That’s why an independent, strong food system ultimately builds stronger communities,” she said. Some of the most popular posts I write feature people who have purchased land and transformed it into small-scale farms and permaculture small holdings. From chicken tractors to food forests, these stories tend to focus on what people have done once they have purchased the land. But what about while you're still looking? Permaculture legend Geoff Lawton has just put out another video, this time looking at the question of what to look for when you're on the hunt for suitable land. Points to look out for, says Geoff, include water holding capacity in the landscape, access routes, and how contours or other geographical features may impact maintenance. It's hardly a comprehensive guide, but it provides a useful starting point. And I get the sense it's probably a teaser for a longer, full length video. I would keep an eye on Geoff's website for future updates. Still, this is a useful addition to the arsenal. I'd love to hear from folks on other things to look out for when thinking of buying land. 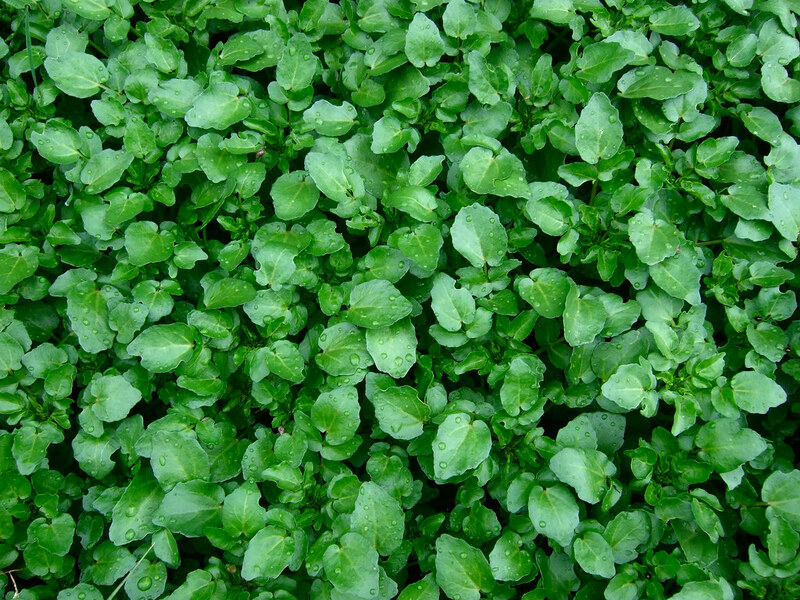 Watercress is one of the most sensitive crops when it comes to toxins. If you can grow watercress in your compost, you should have no trouble growing anything else with it. If a small batch of watercress dies when apply some compost/tea, you probably want to let it mature longer before using it. Smart people will listen to you. But there are always those with over inflated egos who do not take correction gracefully. As a non-expert armchair theorist, I still believe the best purification method for compost is through solar ovens to bake the compost and break up any complex polymers that might be biologically harmful into smaller constituent parts, which then can be reassembled into new molecules by the given organism that ingests them. Adjusting the temperature and how long you bake would make it possible to only break down as far as necessary and still have good precursors to work with and not have to synthesize everything from scratch. Most if not all pesticides would be rendered harmless this way. About the only harmful things that would remain are heavy metals that got into the process in some way, mercury, lead etc. Sunflowers are a proven way to leach the soil of heavy metals. They have done it in inner city lots now used to grow veggies in Detroit. For heavy metal polluted stagnant water bodies like ponds and lakes, Lemna minor (duckweed) has also been successfully used. It’s not just a misuse of water; nitrogen and phosphorus are also squandered in the process. The High Density Vertical Growth (HDVG) system seems like space age farming. The crops grow on something that looks like large plastic panels used to store shoes vertically in a closet. They're indoors a controlled environment, moving on an overhead conveyor system that is designed to provide maximum sunlight and precisely correct nutrients to each plant. Glen Kertz, CEO of Valcent Products explains that this system only uses 1/20th the amount of water needed for conventional agriculture. "We do intensive agriculture that is renewable and sustainable in an urban environment... this system can work in the desert in Las Vegas, rooftops in New York, it can be in a building or a basement." His company operates year round production. No pests and no weeds-- so it's easy to skip the fertilizers and pesticides. 80% of the bugs in your garden are good bugs. They are beneficial because they eat other harmful bugs, like the ones eating your crops. Scott Myer, the editor of Organic Gardening Magazine explains in this video that you don't need to panic when you see pests. They are not all doing harm. Some simple products he shows us to target specific pests are peppermint oil and garlic oil. Learn about his great secret for grub control. Great tip: you can use a synthetic fabric called a row cover -- they're light enough to rest on the plants and allow light, water and even fertilizer to get through. Why not attract more birds to eat the bugs? Just offer them a bird bath! You can also plant more flowers to attract the good bugs. Of course using chemical pesticides does nothing but harm everything in it's path- along with the bugs it's successfully killing. As the study of permaculture teaches us -- it's all about observing and helping our growing environments achieve optimum balance and symbiosis. So maybe you don't have a bug problem - but perhaps you have a bird shortage? The letter calls for the state to “support and facilitate the necessary statewide transition to regenerative and organic dairy production,” although several signers said that wouldn’t necessarily involve every farm practicing fully organic methods. Rather, they say, they seek to model a program after what’s been done with organic products, where some set of higher standards differentiates Vermont’s milk and commands a premium. "Drive-ins are more dangerous than drive-by shootings."